DVD with a collection of 12 films from the Dutch film cooperative Studio Één. In this particular context, Studio één was launched. Conceived as a actual workspace, Karel Doing, Djana Mileta and Saskia Fransen, began by establishing it within a large network of festivals, galleries and other workspaces. They bought optical printers from a professional laboratory that was set to shut down and started to learn by themselves, out of necessity, how to process film. It wasn't long before Studio één became well-known in DIY film circles and began to host various artists who come to meet each other, not only to exchange ideas and work together on the use of Super8 or 16mm, but also to experiment with diverse narrative and sound forms. Some members, Joost Rekveld for example, chose to pursue a career as a musician as well as a filmmaker. After 7 years in Arnhem, Studio één moved to Rotterdam where it continued to thrive. It became a model for many artists in creating their own laboratories, research centers and studios dedicated to experimental cinema. 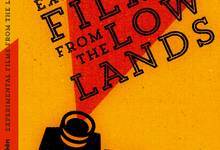 Studio één no longer exists, but the laboratory itself continues in Rotterdam under the name of Filmwerkplaats by being involved in new experimentations in filmic creation while promoting the works of members and invited artists. This DVD edition includes works of various Dutch artists who had a main role in the early years of Studio één, from 1992 to 1996.